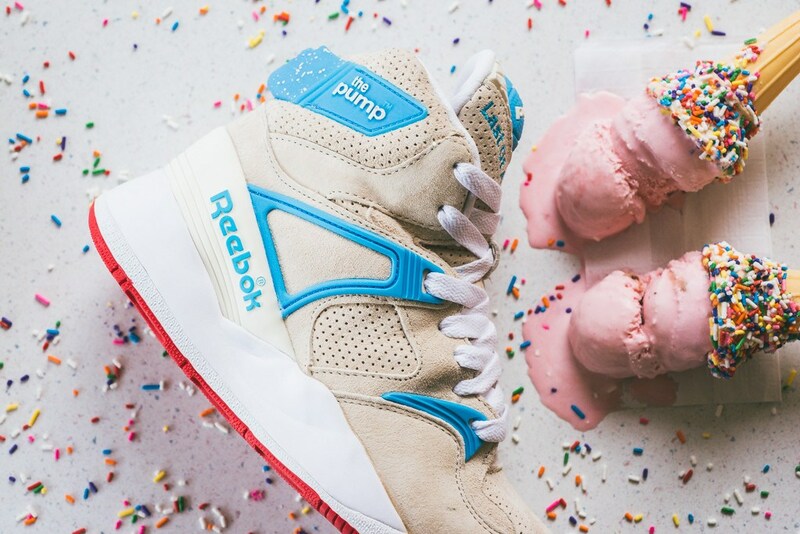 Babe you look so good. 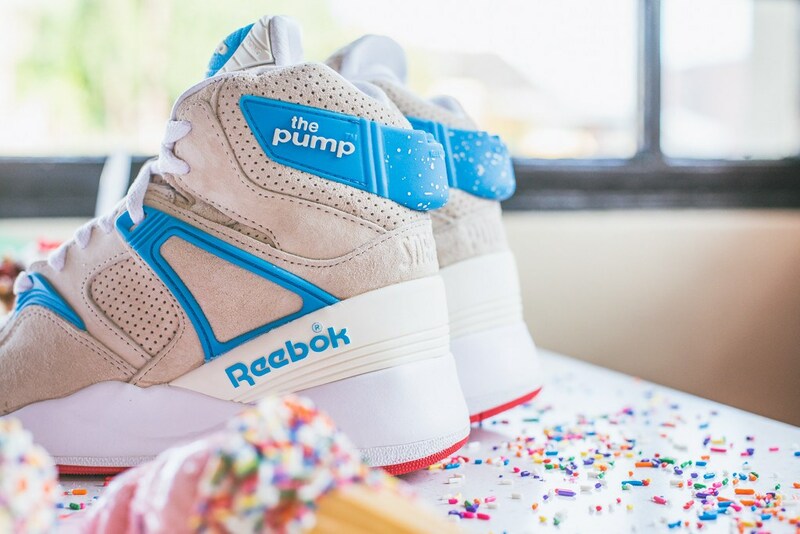 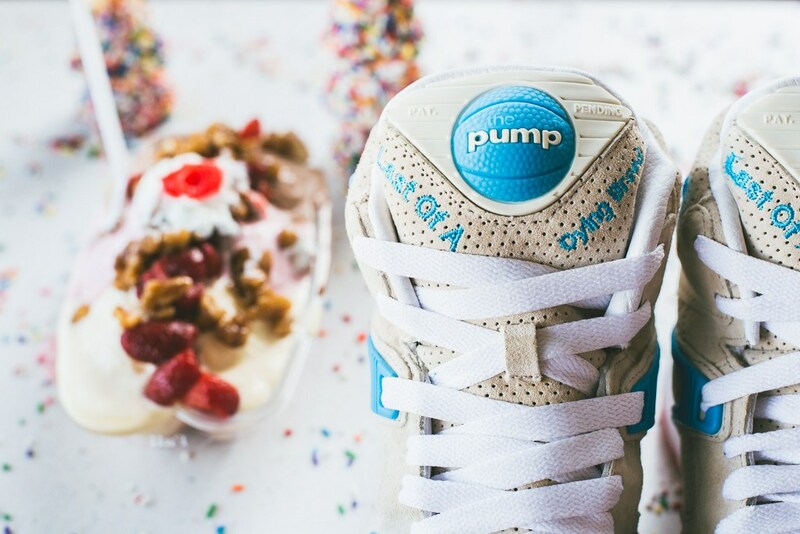 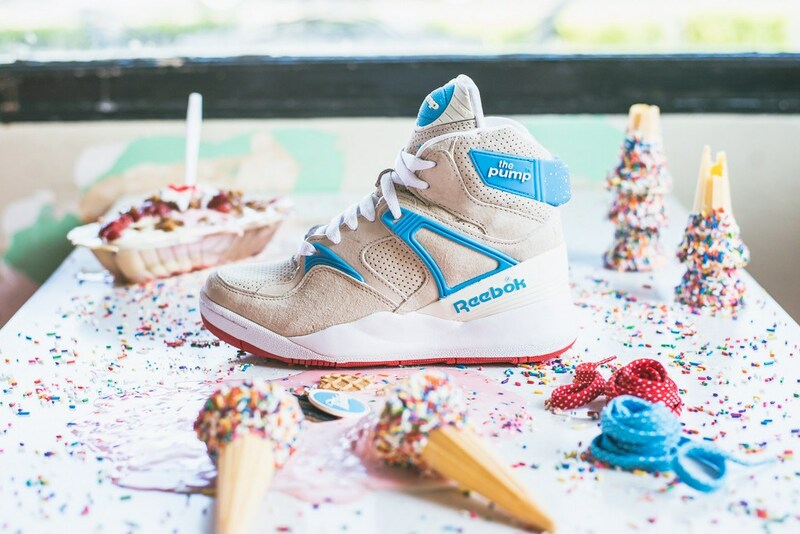 A collaboration between Sneaker Politics and Reebok in celebration of the 25th anniversary of the Pump. 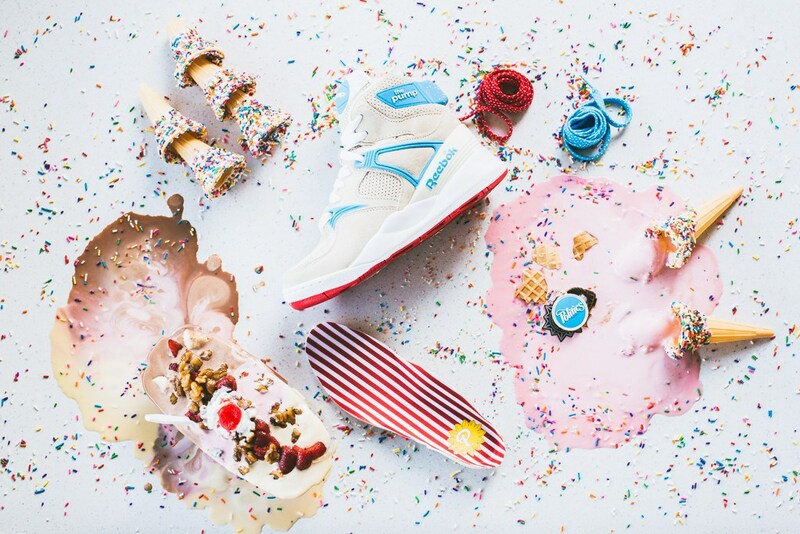 Inspired by a historic ice-cream parlor in Lafayette, Florida, which has been a mainstay of the community for decades, the shoe pays tribute with its creamy palette broken by accents of bubblegum blue and cherry red.